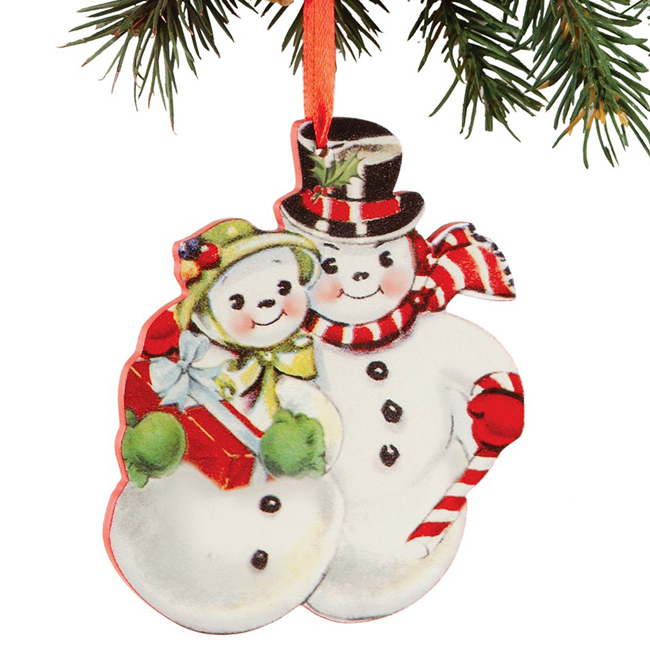 Take a look at the Christmas ornament collection you have in storage. Is there a color that is more predominant? How about a theme? 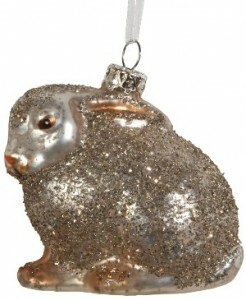 Perhaps you have more animal themed ornaments than you do others. By taking a moment to reevaluate what ornaments you already have at home, it is easier to add new ornaments to the mix each year. 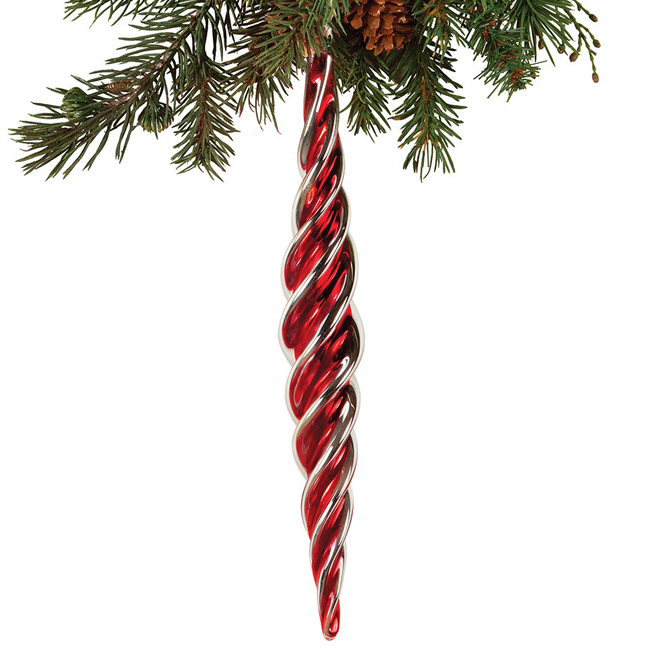 Here are some of our favorite ornament combinations for a Christmas tree that will feel new each time you decorate. No need to stress, for here at Sturbridge Yankee Workshop, we have everything you need to decorate and trim your holiday tree so that it looks its best year after year. Many of us have oodles of Christmas ornaments in storage around the house, and some of us even display multiple Christmas trees just to use up the stockpile of available decorations. This year, focus your assortment by selecting a color scheme that can carry throughout the house. Red and white are opposite colors in a very obvious fashion. Red is bright, cheerful, and full of emotion. The color of poinsettias, holly berries, and Santa’s suit. White is clean, crisp, and innocent. The color of snow, ice, and angel wings. 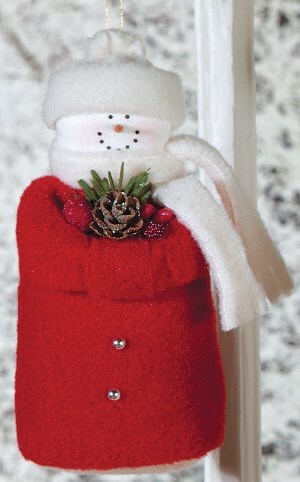 Here we have a set of two Crochet and Burgundy Glass Ornaments, Felt Pinecone Snowman, and set of 12 Chenille Candy Canes. 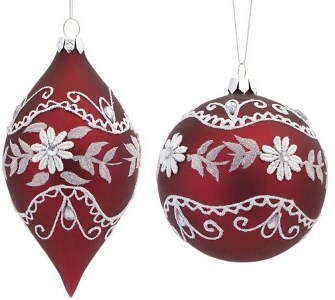 Red and white are found quite easily on many holiday decorations, and this scheme can also be combined with green, gold, or silver to vary the overall look from year to year. We all know how magical ice looks as it forms on a window pane, or as soft white snowflakes gently fall from the ice blue sky. Recreate this same feel on your holiday tree this year with blue and white ornaments and decorations. 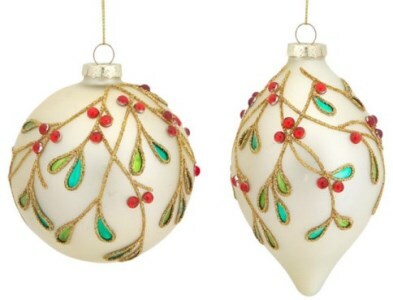 Here the set of two Victorian Glass Ornaments offers vintage charm and exquisite beauty for Christmas display. 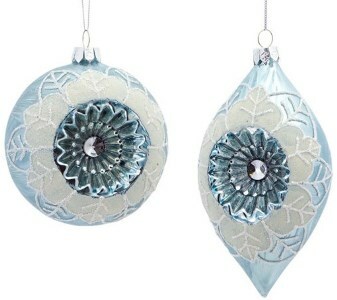 Pair these ornaments with deep blue glass balls, or along with other white accents for a Christmas tree that will look as though it has been gently kissed by winter frost. 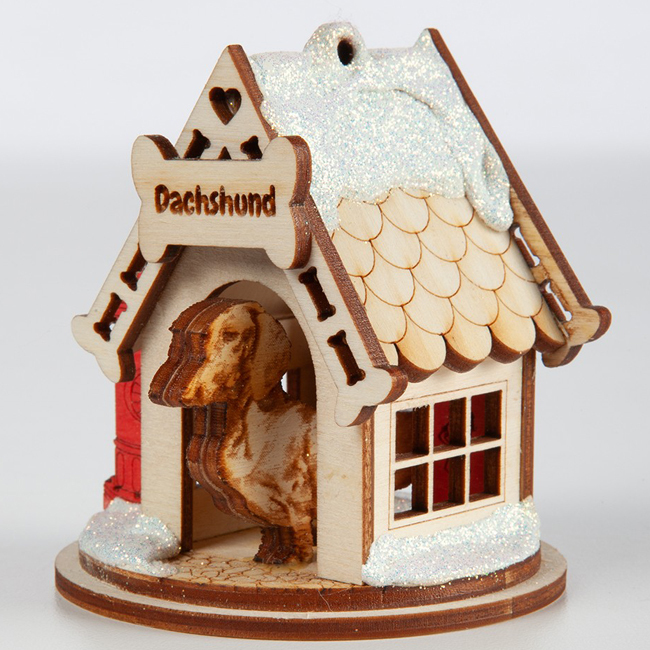 Click here to take a look at a video featuring our range of glass ornaments up close! Nothing says Christmas more than red, green, and white. Santa standing by a green Christmas tree, and holly berries and leaves covered in snow. 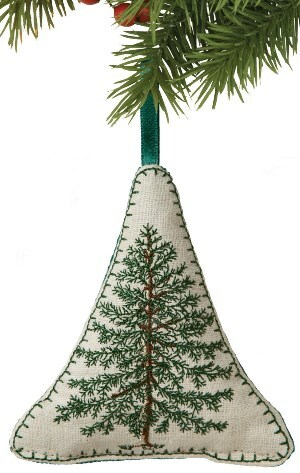 Spruce up your Christmas tree this year by using ornaments true to this color scheme. Small hints of gold will offer a more magical, sophisticated effect. Start with Beaded Victorian Glass Ornaments, add in a Felt Snowman with a Tree, and finish off the whole display by tucking an embroidered Balsam Fir Ornament shaped like a tree. 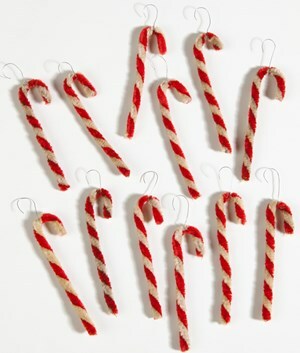 Nothing beats homemade holidays charm, but when you are not able to make your own decorations, we have some viable options that will offer the same handmade appeal. 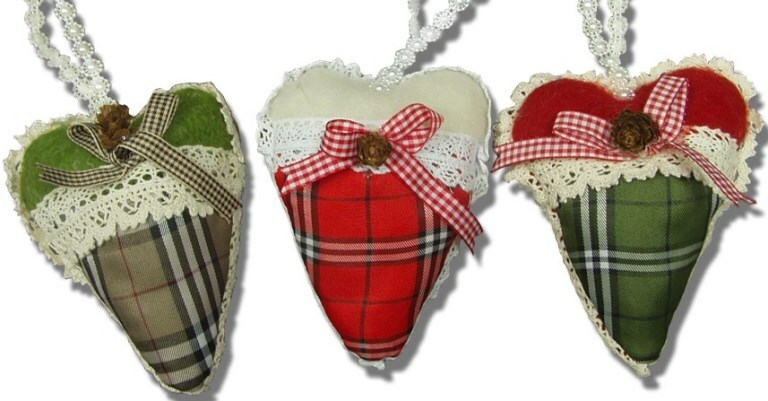 Country Hearts will offer a simple, charming look, and can be shared with friends or used all at once on the tree. 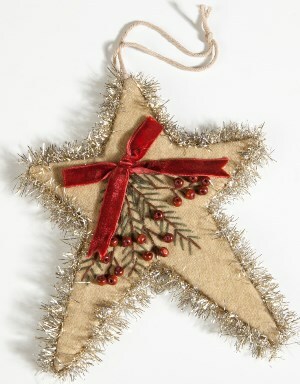 Felt Star Ornament features wooden beads and a velveteen bow. 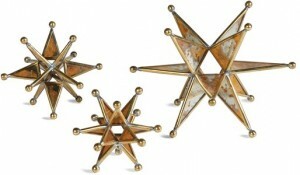 Metallic accents on your holiday tree will add a magical touch with a classic feel. 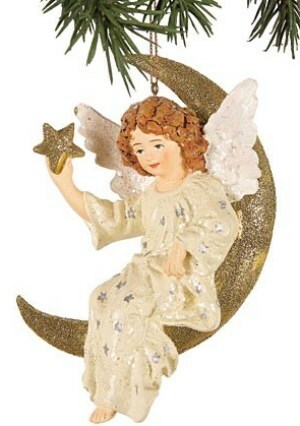 Golden Glass Stars can be strung with string and an ornament hook for display on sturdy branches, complimented by Sitting Bunny, and the Heavenly Angel perched on a golden moon. 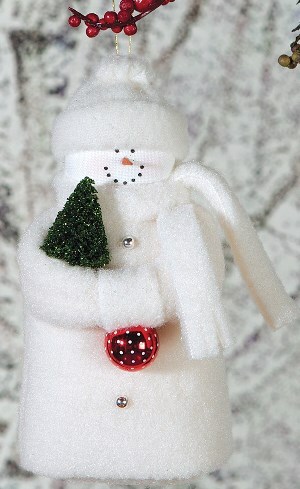 What is your favorite decorating scheme for your Christmas tree? Let us know in the comments below! Peace, joy, and holiday cheer. These are three important qualities shared around the world this time of year. We are already in the holiday spirit, and spreading season’s greetings all around, by featuring some of our made in the USA harvest items. Gourds Are Great For Many Things! 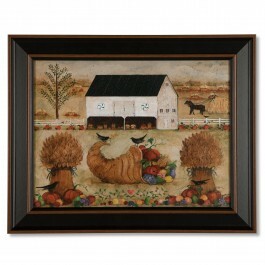 Start the harvest season of right with themed decorative accents made right here in the USA. 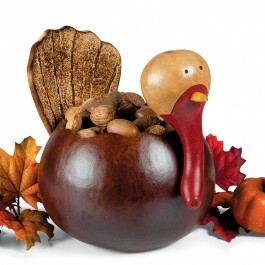 We first draw attention to the Turkey Gourd Bowl, crafted by hand in Pennsylvania. The gourds are grown, dried, and carved into a multitude of shapes fit for every use and season. This particular shape conveys a folk art representation of the classic turkey. We recommend utilizing the hollowed out gourd bowl to showcase potpourri, shelled nuts, or wrapped candy at this year’s harvest gatherings. 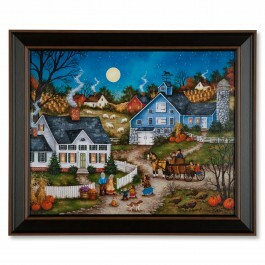 To showcase the colors of the season, take a look at our made in the USA Give Thanks framed print, by artist Ellen Stouffer. Featuring a primitive Americana scene, the muted colors of the harvest on this farm are complemented by pops of color in the recently picked vegetables in the foreground. Pumpkins and gourds abound as the residents of this farm prepare for market day. If artist Bonnie White is the preferred American artist of choice, take a peek at our large collection of her artwork, including the new Dinner On The Run framed print. Vivid colors, whimsical landscapes, and smiling faces are all features that combine to create Bonnie White’s signature style. Brightly clothed families gather in the foreground to share the joys of the season as wisps of smoke rise from the homes in the town. 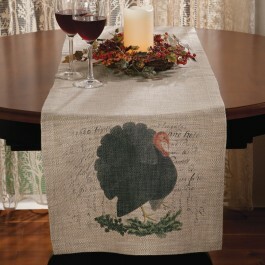 For timeworn appeal, with a rustic feel, the Turkey Time Linens feature a vintage image of a turkey superimposed atop old fashioned script. Soft polyester, with the look of burlap and the feel of cotton, complement the overall look of these American-made treasures. With a pillow, runner, and placemat available, redecorating an entire room is a breeze. We have plenty of ideas for enhancing the harvest theme with small accents, and our Lacey Oak Iridescent Ornament is a perfect example. We recommend creating an elegant appearance by hanging multiple Oak Leaf Ornaments from the backs of guest’s chairs, or creating a magical arrangement when the iridescent oak leaves are hung from the ceiling with ribbon or fishing line. Look closely at this copper plated leaf and it can be seen that this was once a real leaf plucked from nature. 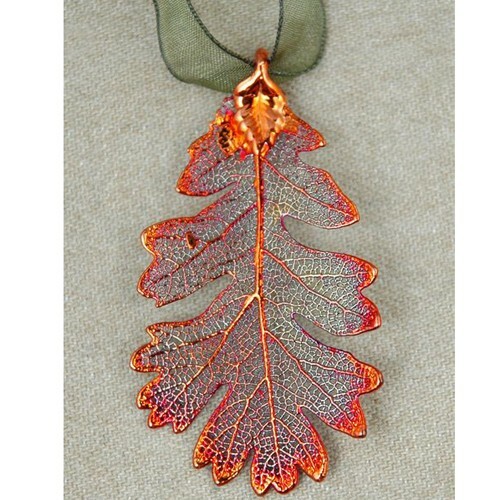 A shimmering copper coating protects the leaf, while enhancing the veins and details throughout. We are proud of the vast selection of items that are made right here in America. 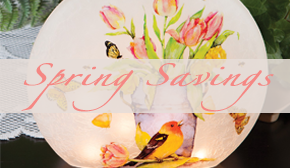 Beautiful home accents and seasonal gifts are easier to enjoy when they feature quality American craftsmanship. Browse through more made in the USA items on our website by clicking here.